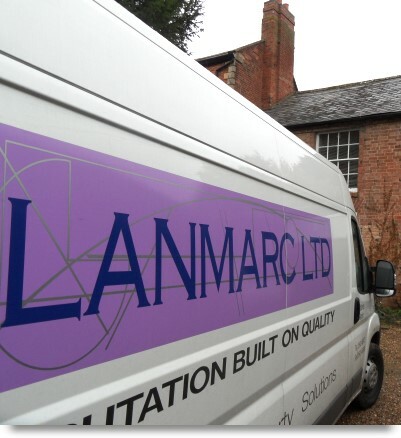 Lanmarc Ltd is a specialist construction company operating throughout the United Kingdom since 1998. Based in Cannock, we are able to provide a cost effective solution for all of our services that ensures our clients with a product that is tailor made to their requirements. We have a strong client base ranging from loss adjustors, structural engineers, local authorities and developers. We also carry out domestic extensions and conservatory bases for home owners, together with piled ground beam foundations to self build developments. Our piling division has more than 25 years of experience in driven, augered, segmental piling, together with reinforced concrete works such as slabs, ground beams and retaining walls. If required, then our in-house design team can provide the calculations for local authority / NHBC approval. We also offer both free estimates and site visits, and would have pleasure in discussing your specific requirements. Should you simply require information on superstructure repair works, helifix, piling or reinforced concrete works, we again would have pleasure in providing free of charge assistance to help you find a solution to your particular scheme, or alternatively download a technical data sheet from our website. Contact us today on 01543 467477 or by email. If your property has been damaged by either fire or flood damage, we work closely with the insurance appointed loss adjustors to accurately quantify the extent of the works. As well as fire & floor repair works and underpinning systems, we also provide a full superstructure repair service. We construct a significant number of extensions per year, whether on more traditional footings, or piled foundations. A variety of piling techniques can be provided dependant upon your specific circumstances, i.e. project layout / access restrictions / ground conditions etc. In association with the varying piling techniques available by us, these incorporate into the underpinning service we provide. As well as carrying out piling works for domestic extensions and underpinning works, we also install piled foundations for new build properties.